Designed specifically for business owners who have lots of smaller projects throughout the year, these Development Credits allow you to easily get all of those niggles and new features added to your WordPress website and CRM without needing to go through the slower formal quote and approval process. When you have something that needs doing, you simply send me a quick email with what needs doing, we have a quick discussion if needed, and then I get the work sorted for you. These credits mean that you get priority access to me, and the changes you’ve requested will usually be completed within 5 working days or less. When you request some work to be done, I’ll give you an ETA on when the work will be completed, and then update you daily until the work is all finished. I’ll then incorporate any adjustments you have and get those sorted too. Monthly credits – you can purchase up to 24 credits per month. 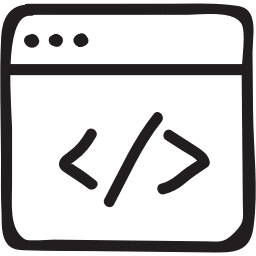 What the credits can be used for – it can be used for web development, help with CRMs (Infusionsoft or Active Campaign), or just technical consulting time on the phone (there are more ideas listed below). How are credits deducted? When we do some work for you, credits are deducted from your credit balance once the work has been completed. Before work is started, I’ll give you an estimate of how many credits it’ll take to do the work. Then you can choose if the work goes ahead. How long do the credits last? The credits last for 12 months. So if you buy 6 credits in month 1, then those credits can be used at any time within the next 12 months. Credits are used up oldest first. For example, if you had 6 credits in February, another 6 credits in March, and another 6 credits in April, you have a total of 18 credits. Then, in April, you used 14 credits, you’d have 4 credits left. The February and March credits would have been used up first, and some of April’s too. However, you’ve got 12 months to use up the remainder of April’s credit. There’s no contract. It’s just 14 days notice to cancel, and you can upgrade or downgrade to a different level at any time. Surplus credits – If you build up a surplus of credits, then you’re welcome to pause your monthly billing for a while to give you more time to use up your credits. Use credits for bigger projects – If you’ve got a bigger project you’d like us to work on, then you can redeem your credits against any bigger project you’ve asked us to work on for you. If you purchase credits on a monthly basis, then you get a 14% discount compared to the one-off pricing. This is the pricing for our credits when you just want to purchase a block of pre-paid development time as a one-off purchase, rather than monthly. Want to arrange a chat to see what credits package would suit you? Click the button below to schedule a time to talk.